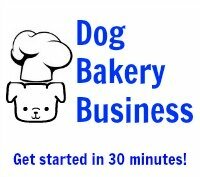 I'm starting up a dog treat business and have been looking desperately for a way of preserving my biscuits and just stumbled on this site. I intend on making a cheese shortbread and a meaty biscuit and was wondering how to give them the longest possible shelf life. I tried dehydrating them in the oven but they didn't taste very nice when they came out. I am now looking at preservatives (alongside some dehydration) and am at a loss as what to use. I've heard of ascorbic acid and vitamin E but had no idea what quantity of each to put in. How much of each should go in for each cup of mixture? 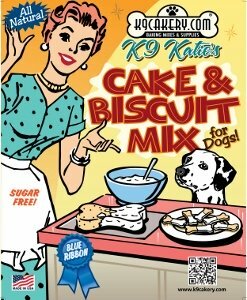 I know about the K9Cakery products but as I live in Europe it would be easier to find a local equivalent. Would normal vitamin C powder and vitamin E oil be sufficient? I have also heard of rosemary extract, is that usually more effective than vitamin E? And if so how much of that should I use? Thank you for asking a very interesting question. Unfortunately, there is no quick and easy answer. The topic of preservatives for dog treats can be complicated because the pH of the product has to be taken into consideration. We doubt that you want to get that scientific! So here's an easy breakdown: mold will grow if the baked good is not completely dried. Just make sure that your dog biscuits are completely cooled after baking. Package them in an airtight system like a ziplock bag that allows you to press all the air out. The reason for this is that any moisture in the air will affect the biscuit. Make sure you use a very good quality cooking oil if there is an issue of spoilage. Fats spoil, so the addition of an antioxidant can allay that issue. Do not go into a vitamin shop and purchase powders or vitamins off the shelf. Those products are not designed for what you are asking about. K9Cakery.com does sell a preservative and an antioxidant. The heavier the box that is being shipped, the lower the cost overseas. So if you were planning to sell silicone baking pans or other products in your business, the shipping for the entire package would be worthwhile. Finally, try to contact a commercial bakery near you and find out what they use for preservatives.